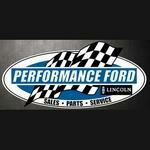 Performance Ford Lincoln is a premium car dealership in Windsor, Ontario. They offer an extensive selection of new and used Ford and Lincoln vehicles. Steve Virag is the General Manager of Performance Ford Lincoln. Products Carried: Performance Ford Lincoln offers new and used Ford and Lincoln vehicles in Windsor, Ontario. The Windsor Ford and Lincoln auto dealership offers new and used vehicles, service and repairs, finance and leasing options, and tires. Performance Ford Lincoln has Ford models such as the Fiesta and the Focus, and Lincolns like the MKX and MKZ.